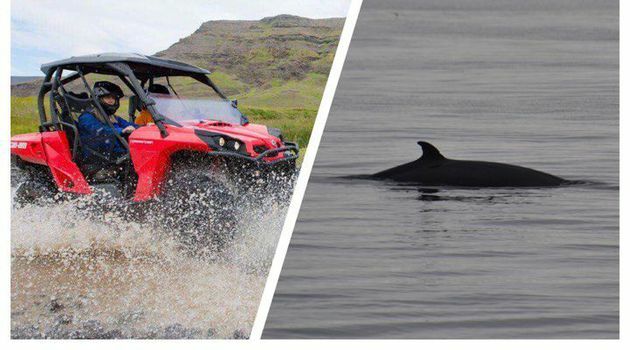 Combine two great adventurous excursions for a fun-filled-day! Start the day with a pickup at your hotel or designated bus stop between 09:00-09:30. 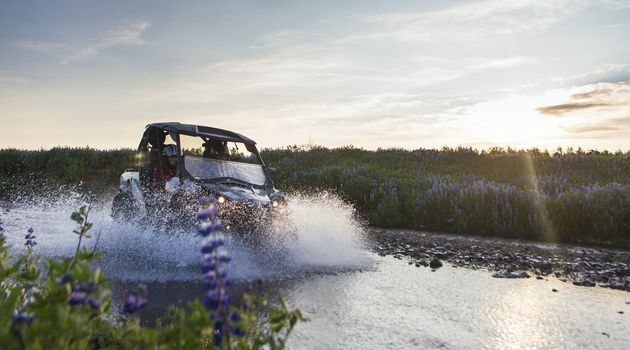 The buggy tour is operated by Quad Safari and once at their base camp you will meet up with your tour guide for instructions and safety briefing. No experience is necessary for this tour so the guides will make sure you know what you need to have a safe and fun tour. 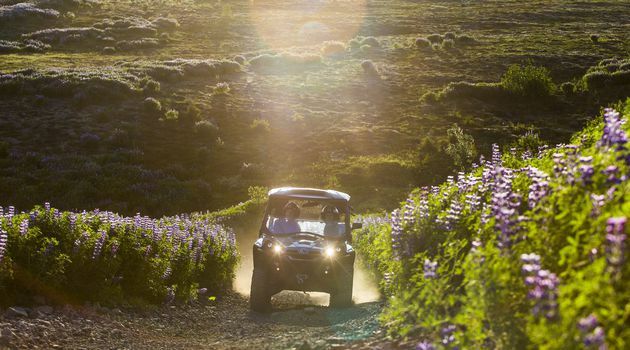 You will drive off-road on a variety of terrains as we head for Úlfarsfell mountain. 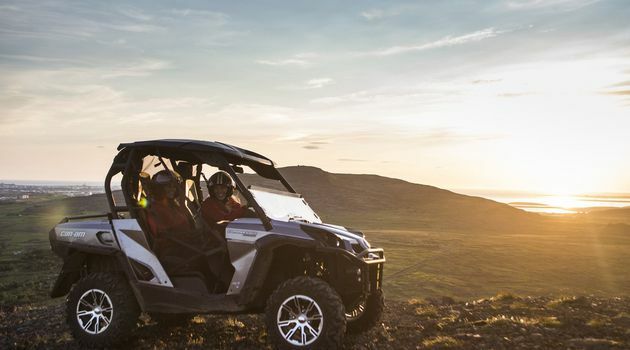 The ride to the top is a chance to experience the true thrills of buggy riding and when you get there, you’ll be rewarded by a fantastic view across the whole city, the ocean, and the surrounding mountains. 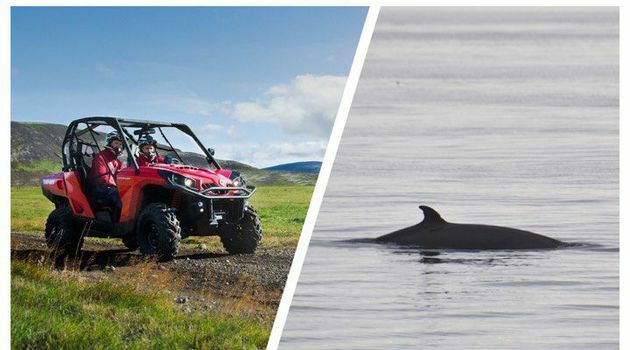 After the Buggy tour, Quad Safari will drive you back to Reykjavík to Elding's ticket office where you will shown to the whale watching boat. First you board our "floating museum" located on our permanently marooned boat in the harbour. 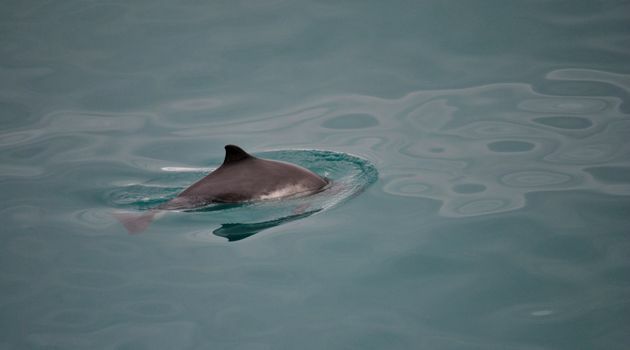 There you will find some interesting facts about the marine life around Iceland as well as some whale skeletons, bones, teeth and more. 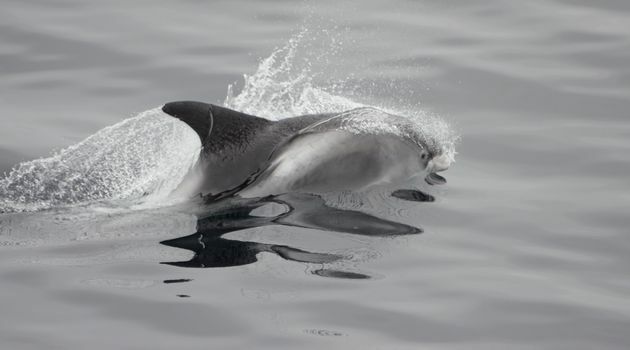 The Whale Watching will take around 3 hours and on the tour your guide will tell you more about the whales and dolphins we expect to see on the tour as well as telling you what to look for and where to look. Pickup is included in this combo, so please make sure to select your hotel from the drop-down list. If pickup is not needed, please make sure to familiarise yourselves with the meeting points for each tour and make sure to be ready there at least 30 min. prior to departure.